This post uses the Geneameme 2016 list as a border around which to reflect on my 2016 that was. In doing so my paddock is fenced by just a few of the suggested Geneameme 2016 talking points. Ruth feels at home when she turns west onto the Hamilton Highway. I also feel the same tension disappear when I put city driving and drivers behind me. But for me the feeling of being safely home comes much later in my journey. That feeling of home doesn’t start until I have crossed the Paradise bridge. If it’s early in the night I look for home lights peeping through the plantation at the far corner of the Horse Paddock. But on I go. It’s when I turn right at Campbell’s Paddock that I feel a sense of home. It may appear that I may have done little in 2016. Yet I have travelled in time to Campbell’s Paddock. It may seem that the year was full of obstacles, detours, Cheshire cats and afternoon tea parties. The reality is that not only 2016 but some of the preceding years have set the scene for 2017 quite nicely. Each year has over 360 days through which to travel before turning the corner at Campbell’s Paddock. It’s when my “driver reviver” reflection time starting at about day 360 that a year falls into place. 2016 wasn’t about laying any notable achievements on the table for all to see. 2016 was all about winding through the path that is my family history research. 2016 was about reviewing, planning and revisiting my research methodology and the tools I use. In this way 2016 was just another family history year. Nevertheless, there were a couple of highlights in 2016. 18 It was exciting to finally meet Clare and Mary. Edith Learmonth (nee Salter) on the left and Agnes Salter (nee Skene) on the right. It was coffees in one of Melbourne’s arcades that were the highlight of 2016. I met my Salter cousin Clare first. Then I met our cousin Mary. I had heard a lot them from Aunt Agnes when she came to stay with my grandparents over the summer. It was delightful to meet Clare in person some forty years after listening to the stories Aunt Agnes used to tell. These meetings with relatives and listening to their stories is what I enjoy most about family history. 2016 was a double delight when I met another Salter cousin Mary and listened to her in amazement. Mary is following in the footsteps of our great grandfather Charles Salter. But until 2016 she wasn’t aware that she is doing so. Is that genes? Perhaps. More likely, it is the tradition of Christ’s Hospital that has filtered down the generations. Mary’s visit caused me to review my research into my Salter ancestors. Charles Salter was at Christ’s Hospital at the time of the 1851 census. I have now found his missing siblings and cousins who weren’t home at census time. They were also away at school. Plotting their whereabouts on Google Maps gave a nice little snapshot of where they went. It’s sad that the potential of closed Facebook groups hasn’t captured more attention from family history researchers. Two closed Facebook groups I am enjoying are Amy Johnson Crow’s course 31 Days to Better Genealogy (for the second years) and the Genealogical Society of Victoria’s one for their GSV Writers Circle. The planning I did in 2016 has set up 2017 with just four simple goals. Now to polish each those goals into smart genealogy goals. I wonder how different my Geneameme 2017 will be? The X Chromosome inheritance patterns are complex but when the planning is right and your relatives indulge your curiousity about their DNA then the resulting X DNA matches seem serendipitous. My brother wisely counselled establishing a sound foundation upon which to build my genetic genealogy research. My cousin Val started me off by agreeing to indulge my curiousity and undergo a DNA test. My curiousity at that time concerned the origins of George Watts’s wife Mary McCade or McCord who was born about 1800 in Foreign Parts. If you are a descendant please read on. If you believe you may have inherited some of your X DNA from George’s family or, in particular, from his wife I would love to hear from you. Even if you aren’t a member of this family do read on. I have been putting off my analysis of Lyn and Val’s X chromosome matches even though their DNA test results were the first DNA test results I received. My procrastination is entirely because of the inheritance patterns of the X chromosome. Of course, its complexity is no reason to ignore significant X DNA matches. So the purpose of this post is to look at some X DNA match results I have received. Even if I take the low road to get there.
. analysis of matches for mitochondrial DNA. Let me set the scene for analysing X DNA matches by beginning with a short review of the analysis of other DNA matches. The most common analysis has been of the Y Chromosome. It’s relative simple to identify which ancestor provided a male’s Y DNA. A male receives his Y DNA from his father. In turn, his father receives his Y DNA from his father. And so on up the paternal line (following the family surname). Identifying which ancestor provided our mitochondrial DNA (mtDNA) follows a similar process. With a slight change. All children, whether male or female, receive their mtDNA from their mother. I received my mtDNA from my mother. As did my brother. In turn our mother received her mtDNA from her mother. And so on up the maternal line (with, in my family at least, the surname changing each generation). There are no half way measures with Y DNA and mtDNA. My brother received all of our paternal great grandfather’s Y DNA and we each received the same mtDNA from our maternal great grandmother. Autosomal DNA (atDNA) is a little different. It is more difficult to determine which ancestor we received our atDNA from. Suffice to say, on average, we receive half our atDNA from our father and half from our mother. My father received half his atDNA from his father and half from his mother. Similarly, my mother received half her atDNA from her father and half from her mother. This means I received half my atDNA from each of my two parents, a quarter from each of my four grandparents, and one eighth from my eight great grandparents and so on up my family tree. These amounts aren’t set in stone however. They are not precise. It’s only probable that I received precisely half my atDNA from my father and precisely half from my mother. With Y DNA and mtDNA it is clear which is received from which of our ancestors. With atDNA we can estimate how much atDNA we received from each of our ancestors but it is less clear just which DNA we received from a particular ancestor. Now we come to the X Chromosome and its inheritance patterns. Let’s start with myself. I received half my X DNA from my father and half my X DNA from my mother. In turn, my mother received half her X DNA from her father and half from her mother. As far as this example goes, the X DNA inheritance pattern is like the inheritance pattern for autosomal DNA. Now let’s look at my brother. My brother received no X DNA from our father because he received a Y chromosome instead. That is, he received all his X DNA from our mother. Similarly, my father received no X DNA from his father. Instead he received his Y DNA from his father and all his X DNA from his mother. Let’s now look at a simple X DNA match before looking at a couple more complex and interesting DNA matches. It’s expected that my brother and I match on 50% of our X DNA (with that X DNA originating from our mother). In fact, we matched on 88.5 centiMorgans (cMs) – 45% of our X DNA and a little less than estimated. Here is what our match looks like in the Family Tree DNA chromosome browser: Now let’s look at two first cousins – Lyn and Val. Their mothers were sisters and were daughters of Samuel and Eliza Ann. Lyn received half her X DNA from her father and half from her mother. In turn, Lyn’s mother received half her X DNA from her father, Samuel, and half from her mother, Eliza Ann. That is, Lyn received 25% of her X DNA from her grandfather Samuel and 25% from her grandmother Eliza Ann. Similarly, Val received half her X DNA from her father and half from her mother. In turn, Val’s mother received half her X DNA from her father, Samuel, and half from her mother, Eliza Ann. Here is how Lyn and Val’s X DNA match of 49.4 cMs (25% of their X DNA) looks like in the Family Tree DNA chromosome browser: As expected Lyn and Val match on just over half the number of cMs that my brother and I do. Samuel and Eliza Ann are my paternal great grandparents but neither my brother and I would have received any X DNA from this line as my father received a Y chromsome from my grandfather and, consequently, no X DNA from my grandfather. Now do I have anyone else who may have received some part of their X DNA from my great grandparents Samuel and Eliza Ann? My first cousin Marilyn did. And this is where expected X DNA becomes complicated. Marilyn received half her X DNA from her father and half from her mother. In turn, her mother received half her X DNA from our grandfather and half from our grandmother. Now our grandfather received his Y chromosome from his father, Samuel and his X chromosome from his mother Eliza Ann. The probability is that Marilyn received 25% of her X DNA from her great grandmother, Eliza Ann and none from her great grandfather Samuel. There are two points to take note of here. Firstly, X DNA isn’t like mtDNA. It doesn’t merely go up the female line. You can have one male in the sequence. Our grandfather in Marilyn’s sequence is one example. But you can’t have two males in the sequence and inherit X DNA from that line. My brother and I haven’t received any X DNA from our great grandparents Samuel and Eliza Ann because there are two men in the line – my father and my grandfather. Secondly, any match that Marilyn may have on her X DNA with either Lyn or Val, must be attributable to Marilyn’s great grandmother Eliza Ann because our grandfather received no X chromosome from his father Samuel. Marilyn shares 58.3 cMs (30%) with Lyn and 72.9 cMs (38%) with Val. When I map Marilyn’s matches with Lyn and Val I see the segments of Marilyn’s X DNA that come from her great grandmother Eliza Ann. • Rick, her second cousin on her father’s side. So now let’s look at Lyn’s X DNA match with Val. Lyn received half her X DNA from her mother who received her X DNA from her parents Samuel and Eliza Ann. But I don’t know which X DNA Lyn’s mother received from her father Samuel and which she received from her mother Eliza Ann. The situation is the same for Val. Consequently, where Lyn and Val match on their X chromosome I don’t know whether that match is due to X DNA they each received from their grandfather or is due to X DNA they each received from their grandmother. Further testing is required. This is different to the scenario of Lyn’s X DNA match with Marilyn where the inheritance pattern of X DNA indicates that that match could only have come from X DNA inherited from Eliza Ann. Lyn also has an X DNA match with her second cousin Rick on her paternal side. Rick inherited all his X DNA from his mother (as he inherited his Y chromosome from his father). Rick’s mother inherited half her X DNA from her father. In turn he inherited all his X DNA from his mother Jane (as he inherited his Y chromosome from his father). Lyn inherited half her X DNA from her father. Her father inherited all his X DNA from his mother (as he inherited his Y chromosome from his father). She inherited half her X DNA from her father and half from her mother Jane. We have another instance here of being able to determine which ancestor DNA came from. Under the inheritance pattern of the X chromosome Lyn and Rick can only match on X DNA with regards to X DNA they inherited from Jane. Rick and Lyn have a match of 91.9 cMs (or 47%) on their X chromosome. Putting Lyn’s three X DNA matches together we can see that she can attribute almost 65% to a specific ancestor (Jane or Eliza Ann) and the balance to either Samuel or Eliza Ann. There is further testing required to attribute her match with Val to either Samuel or to Eliza. For those of you who have tested in AncestryDNA and would like to explore your X chromosome all is not impossible. Download your raw data from AncestryDNA and upload it into Gedmatch for testing. Thank you Kathy for the suggestion to use fan charts from Legacy Family Tree. They worked! These and other charts drawn in Excel were drawn by me but are strongly based on Blaine Bettinger’s trees. See, for example, his recent book Guide to DNA Testing and Genetic Genealogy by Blaine T Bettinger as well as Foundations in DNA by Blaine Bettinger: A recent series of 5 webinars found in Legacy Family Tree’s Webinar Library. The Family Tree DNA chromosome browser examples came from our matches at Family Tree DNA , the Gedmatch chromosome map came out matches uploaded on to Gedmatch and Kitty Cooper’s chromosome map can be found on Kitty Cooper’s Blog under Tools. What triggered my interest in DNA or Genetic Genealogy and its possibility as a source for family history research? It’s time, after two years of exploring DNA tests, to reflect upon why I started and where I have ended up. This blog is the final of four blogs written for National Family History Month 2016 and describes volcanic stony barriers that are a little more than they seem. A land of sweeping plains? Thousands of years ago my favourite place may have been part of a verdant plain. Thousands of years ago before the volcanoes were active. Then my favourite place may have looked like the freshly mown lawns and the avenues of elms that are just a short walk across the tram lines from my home. Next time you log in to your FamilyTreeDNA test check your Family Finder matches. There are now four tabs under the Family Finder – Matches screen. Just as I haven’t stopped purchasing birth, marriage and death certificates I am sure that I am far from finished purchasing DNA kits. Particularly when I am excited about Family Tree’s DNA new phased Family Matches analysis. But not just now. I need to plan and budget first. DNA tests for family history purposes only work when my DNA test matches with someone else’s DNA test. On 15 August 1914 the 1st Division was initially formed as the Australian Imperial Force (AIF). In the August offensive a year later the 1st Division’s role was to hold the front line and conduct a diversion at Lone Pine. A further year on in August 1916 Gunner Holmes, recovered from injuries incurred at Lone Pine, embarked for France. In these two years Louis Aaron Holmes (1886-1960) saw less than two month’s active service. I remember my great uncle Lou as quiet and a man to be respected in the way great uncles should be. Comments by repatriation doctors paint a different picture. And when I look at the record of his military service I begin to understand why. Louis Aaron Holmes enlisted on 1 October 1914 having emigrated to Victoria from Woolwich, Kent just a year beforehand. He was taken on with the 1st Division Ammunition Column Reinforcements and was to become a gunner in the 4th Battery of the 2nd Field Artillery Brigade. There is a glimpse of his service and the possible effects in his military personnel records. What Uncle Lou did in the war and afterwards is better understood on reading his repatriation records as well as exploring relevant World War I unit diaries. Uncle Lou sailed from Melbourne on 22 December 1914 and arrived in Egypt two months later. Here the Divisional Ammunition Column Reinforcements underwent further training in Egypt. Some were taken on strength for the Anzac campaign but Uncle Lou did not get to Gallipoli Peninsula until the middle of July 1915. And perhaps I would never have known just precisely where he was if it weren’t for mention of his first misadventure to the repatriation medical staff. In establishing that his injuries were war related Uncle Lou mentioned to Repatriation that his hernias were due to placing the two three pounder Hotchkiss guns. These guns were taken over by his battery on 29 August 1915 and placed on Russell’s Top. It seemed from Uncle Lou’s recollection that a horse took fright or some part of the gun carriage snapped leaving Uncle Lou taking the full weight of a Hotchkiss gun. A few days later 15 effective rounds were fired from one of the Hotchkiss guns before its sights were damaged and the gun pit badly damaged. The Lieutenant and seven other ranks were evacuated by the Medical Officer. I believe that Lou Holmes was one of those other ranks. While his most severe injuries were received in placing the guns he also received some shrapnel wounds when when the gun pit was damaged. That period from the middle of July 1915 to the beginning of September was the total of Uncle Lou’s active war service until he joined his unit a year later on the Western Front. He was evacuated from Gallipoli Peninsula by the Hospital Ship Nile to Malta where he was recorded as having dysentery, piles and rupture. The more badly injured men were returned to Australia from Malta but Uncle Lou was transferred by the Hospital Ship Hunslet bound for England. Here started his journey to recover from his wounds, to get fit, train and join his unit preparing for the war on the Western Front. His journey included seven months in London hospitals and periods at the Monte Video Camp at Weymouth Dorset, Perham Downs near Salisbury, Wiltshire and finally Bulford Cam, also on the Salisbury Plains, before undergoing further training in France in August 1916. Australian War Memorial AWM4 Australian Imperial Force unit war diaries, 1914-1918 War including Subclass 13/10 Headquarters 1st Australian Division Artillery, Subclass 13/30 Headquarters 2nd Australian Field Artillery Brigade and Subclass 13/66 4th Battery Australian Field Artillery diaries. Image courtesy Australian War Memorial www.awm.gov.au/collection/C01635 A driver guides his pair of mules and AT (artillery transport) cart up a slope near Anzac Cove. the periodic government regulations applicable to the selling of wool. I call some of the sources I use my gateway sources. I find them critical to breaking down brick walls. Do I stand at the gateway afraid to go any further? Do I stand in the open gateway thinking about how to approach a completely new set of sources that may contain family stories? Passenger lists are one of my gateway sources. Before a family member embarks on their journey to Australia I focus on British sources. 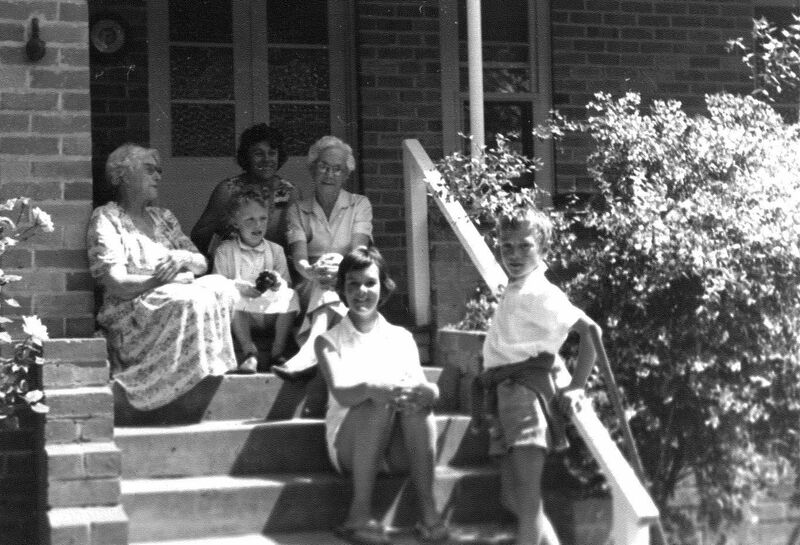 Once a family member arrives in Australia I search for my family stories here in Australia. Census records, particularly those that form part of the 1841 English census collection, are one of my favourite gateway sources. They set a point in time for setting aside Australian collections and turning to English collections. Furthermore, information contained in an 1841 England census record may confirm information I already have or may give some clues about which other English collections I should look at. For example, the 1841 England census records are pivotal in telling the story of my paternal two greats grandfather Francis Baulch and his wife Ann Bowles. The census records establish that the family was still living in Pitney, Somerset at census time. The census records also contain hints as to why the family emigrated to Tasmania with other Pitney, Somerset families not long afterwards. There is no doubt that Francis’s family was in dire straits by 1841. As were many such families following the enclosures in the area several years beforehand. The Pitney churchwardens were concerned about the debt owed to them by Francis’s mother. Francis couldn’t help. He had a young and growing family to provide for. And Francis had difficulty getting sufficient work to sustain his own family let alone help his mother in her difficulties. One year he did manage to win the contract for hauling stone for the roads but was unable to retain the contract. Francis’s brother, Enoch, in common with many other young agricultural laborers, also had difficulty in obtaining work. And when he did have work Enoch was paid a pittance. The 1841 England census was held on the 6th of June. It was summer harvest time and may well have been one of those times that Enoch Baulch had work. It’s likely that Enoch was one of the unnamed men recorded in the census as living in sheds. The Baulch men, and other men like them, would have been receptive to Henry Dowling’s search for experience agricultural laborers in 1840/1841. Tasmanian farmers had appointed Dowling as their agent in the farmers search for workers to replace men who had left Tasmania for the opportunities in the new Port Phillip district. In the autumn following the 1841 Census the Pitney churchwardens gave Francis Baulch and Charles Bartlett, both with young families to support, funds to purchase clothing and other necessities to help them emigrate. By late November 1841, the two men, their families and some closely connected families sailed for Tasmania. They were avoiding facing another bleak winter in Pitney. But some family members didn’t come. The census records give clues as to why. For example, Francis’s brother William Baulch was living next door to his mother at the time. No doubt to help his mother when needed. His mother remarried in 1845 so William and his family was then free to emigrate. There is a clue there in the 1841 census records that helped find William’s new home. In 1841 William Baulch and Martha Cook had a ten-year-old boy, Edward or Edmond Perrin, staying with them. There they all are emigrating to the United States in 1850 and can be followed in the US censuses from thereafter. Others weren’t of the right age or otherwise not qualified for assistance to emigrate. Some of the children later emigrated with many of Henry Baulch’s descendants emigrating to Queensland. Charles Edgar, one of Ann Bowles’ younger half brothers, went to Ontario, Canada. Which brings me to a source that I think may become another of my gateway sources. I have a DNA autosomal match with a Canadian cousin. On my side of our family tree the match comes about because I am a descendant of Henry Bowles and Frances Fletcher, Ann Bowles’s parents. On the other side of our family tree the match comes about because my Canadian cousin is a descendant of William Edgar and Frances Fletcher, Charles Edgar’s parents. The ancestor we have in common is Frances Fletcher. The chromosome segments where we match, therefore, must have been passed down from Frances Fletcher. But which segments on which chromosomes? St John the Baptist Church of England (Pitney, Somerset, England). Parish chest material. My first home was on a Squattleseamere Closer Settlement block. Squattleseamere had initially been taken up by Thomas Browne but the second owners of the licence, George Simpson and his younger brother Crawford, are the subject of this article. Although the Crawfords’ purchase of the pastoral licence and their sale later on are not officially recorded in the surviving pastoral run archives I have known for many years that the Simpsons were definitely on Squattleseamere. This is because a story has been passed down of how Crawford was gored by the imported bull Exhibition and subsequently died of his injuries. Charles Macknight, one of the partners on Dunmore, regarded the Simpsons as proprietors of Squattleseamere. Furthermore, whenever Macknight writes of the Simpsons he writes of them as equals, as fellow squatters. Indeed whenever one of the Simpsons visited Dunmore it was generally in the company of other nearby squatters as such Medley (formerly of Snakey Creek), McGregor (of Ardonachie) or Phillips (of Tarrone). When Dunmore mustered cattle for market in March each year those belonging to neighbouring squatters, including the Simpsons, were drafted out. Later in the year mares were accepted from neighbours and Dunmore mares were sent to horses owned by other squatters, including the Simpsons at Squattleseamere. George Simpson was born in Old Deer, Aberdeenshire in 1830. In 1853, five young men, including a George Simpson, emigrated from the nearby port of Peterhead to Port Phillip. Two years later, George’s younger brother, Crawford, arrived in Melbourne aboard the Marco Polo. It’s not only the official passenger lists that confirm these voyages but associated newspaper entries at the time. It seems that the Crawford brothers initially worked on Cato’s run where Crawford’s misfortunes started. In 1858 Crawford fell from his horse but his foot was caught in a stirrup and he was dragged. One of Cato’s shepherds found him unconscious. Crawford was so severely injured he wasn’t expected to live. So perhaps the brothers were taken in by the claim in the sale notice for Squattleseamere and Snakey Creek stations that the cattle were quiet. Thomas Brown had first advertised the sale of his runs in 1857 but it wasn’t until June 1859 that J H Clough and Co finally reported the sale. Unfortunately, the purchaser wasn’t mentioned. In October 1859 George Simpson married Jane Lyell, a sister of John Cato’s wife Margaret. On the same day another sister, Alison, married a John Simpson. Then tragedy struck. On 10 Nov 1859 Macknight recorded that Mr Simpson was nearly killed by the bull. George was also injured. George recovered but Crawford died of his injuries three days later. The runs were sold in 1862, presumably by George Simpson although no mention of the vendor is reported. He had been on Squattleseamere and Snakey Creek runs for just over three years. Charles Hamilton Macknight, “Dunmore Journals” (MS, Melbourne, Victoria, 1840 – 1873); State Library of Victoria. (Copy of Macknight sisters transcript 1929 held privately). When did mutations occur in the Y DNA in our direct paternal line? Perhaps the Colac branch can help in my new DNA search for when a change or mutation on an STR or short tandem repeat marker on the Y chromosome occurred in our Baulch branch. I remember with great affection one of my very early visits to Baulch family members was to the late Clarrie Baulch of Colac who introduced me visit to his wife as his first cousin on the Warry side but his second cousin on the Mitchem side. Perhaps this visit foreshadowed the challenges that were to come as part of my family history research. It’s not that long ago that it was believed that the DNA on the Y chromosome was just a lot of randomly repeated junk. So why did I ask my brother to undertake a DNA test? And why did a second cousin as well as my brother agree to do so? Because we have a brick wall on our paternal line. We descend from the Charles Baulch who married Ann Beddlecombe on 1 Apr 1799 at Muchelney. Charles was born to Roger Baulch and Betty Gaylard on 25 Jan 1767. But my sister that it is more than likely that Roger’s son died in infancy on 8 Mar 1767. No other mention has ever been found of another Charles Baulch. Yet it is telling that Henry Baulch, Roger Baulch’s elder son, was a witness at the wedding of Ann Beddlecombe and Charles Baulch. Yet even more telling is that my brother has an autosomal match with Hannah Baulch, a cousin of Henry and Charles Baulch. Then again, the Y DNA results of my brother and our second cousin indicate that, at least, our Baulch line is another branch of Baulchs. Our second cousin’s Y DNA results confirm a branch mutation on marker DYS710 as both he and my brother have a value of 31 on that marker. No other Balch, Sims or Washburn men have that value and are all 32 or higher. This means that somewhere from our nearest common ancestor, our great grandfather Samuel Baulch on up, one of your Baulch ancestors mutated from 32 to 31, and that mutation was passed on to my brother and to our second cousin.